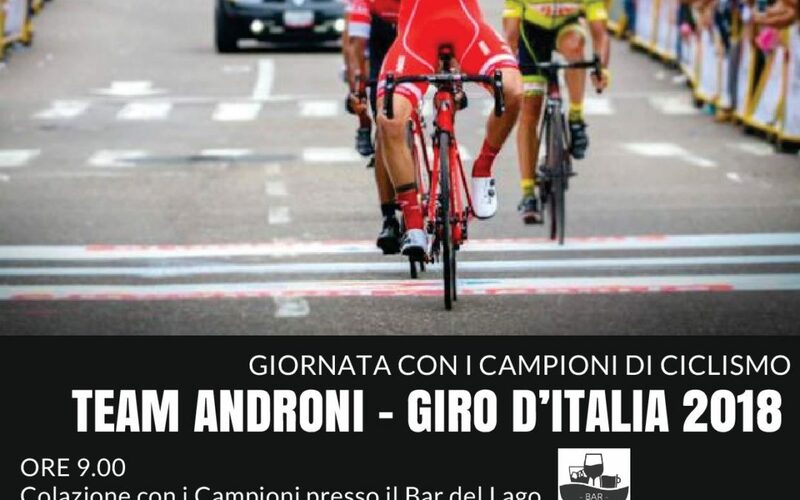 The Androni professional cycling team were recent winners of the Italian Road Cycling Cup, and so have already qualified for the next Giro d’Italia. With their technical base at Lago di Codana, they will be pedaling along the streets of Monferrato from November 30 to December 3. On Sunday, December 3, we will have the opportunity to meet the team’s champions for breakfast at 9 am in the Lago di Codana bar. At 10 am, a 70-km bike ride will leave from Lago di Codana, returning back here afterwards. This will be followed by lunch at 1 pm at the Roico sul Lago di Codana restaurant.